Apple to Release iOS 4.3 Today? Personal Hotspot Device Limits Up to Carriers? BGR reports that Apple is preparing to release iOS 4.3 today at the company's usual 1:00 PM Eastern / 10:00 Pacific timeframe for iOS releases. A release today would be a bit of a surprise, given that Apple announced last week that the update would launch on Friday alongside the iPad 2 debut. BGR does, however, have a strong track record of pinpointing iOS build numbers and releases. Apple seeded the golden master version of iOS 4.3 to developers last Thursday. 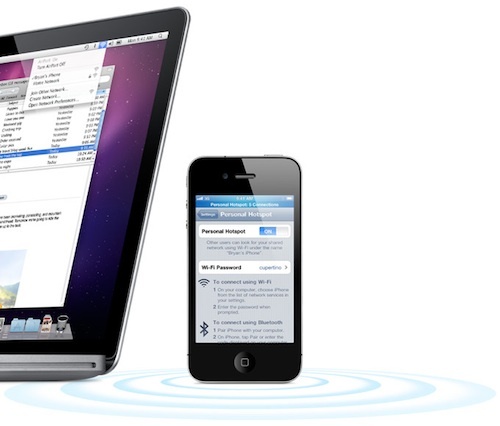 Today's report also addresses the issue of personal hotspot device limitations, following considerable discussion around the fact that Apple's iOS 4.3 pages for some markets mention that users may only utilize the hotspot via Wi-Fi with up to three devices simultaneously, while pages for other markets place the limit at five devices. According to BGR, iOS 4.3 supports three devices via Wi-Fi by default, but can support up to five if requested by carriers.